How to Repair Jewelry Clasps. 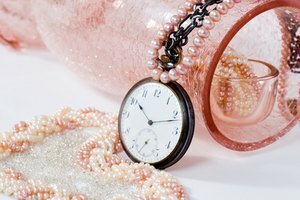 If your favorite necklace or bracelet has a broken clasp, don't leave it languishing in your jewelry box. 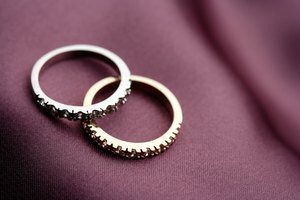 For most types of clasps, it is an easy matter to replace the broken clasp with a new one. Check that the actual clasp is broken. 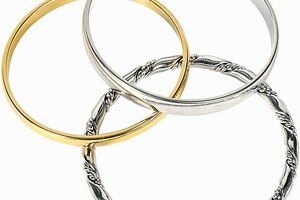 Many times, a clasp will fall off because the jump ring (a simple metal ring with a small cut on one side) has broken or stretched open. Replace a broken jump ring or crimp a loose ring closed. Identify the broken clasp type. There are several varieties. The most common are spring-rings and lobster clasps. A simple round ring that opens by pulling back on a small, spring-loaded knob is a spring-ring. 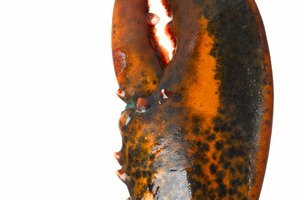 Lobster clasps are spring-loaded, but open by pushing down on the clasp. Their shape resembles a lobster claw. If the clasp is connected to the necklace by a jump ring, it is easy to replace. If the clasp is soldered on, you will need professional help. Buy a replacement clasp. Clasps are available online and at your local craft supply store. Make sure the style and color will match your jewelry. If you choose, you can upgrade the style of clasp that will be easier to use. Disconnect the old clasp from the jewelry. Use a pair of pliers to hold one side of the jump ring connecting the old clasp. Then use a pair of needle nose pliers to open the jump ring. Open the jump ring by twisting it, not spreading it. Spreading will weaken the ring. Attach the new clasp. Hook the new clasp through the jump ring and twist the jump ring closed. Make sure the jump ring is closed tightly, or the clasp may slip off through the gap. Repeat for the other end of the jewelry. Magnetic clasps, where two opposite magnets are attached to each end of the necklace, are easy to use, but not all provide excellent holding strength. Test the strength before attaching to your jewelry. Avoid magnetic clasps if you have health issues such as a pacemaker.